The Hcg Diet Plan includes a specific foods list, along with detailed guidelines for eating and cooking. It is important to understand what these are, before proceeding with the diet. Included on this page, are a number of articles about what to eat, how to eat, and everything in between. These articles cover the essentials that every Hcg dieter should know. The ACCURATE list of approved foods for all protocols and phases, as well as delicious recipes and an overview of the original protocol with highlighted eating tips. These guides cover the in-depth details along with general FAQ’s to eating on the Hcg Diet. Start with the VLCD guide to understand the original menu outlined by Dr. Simeons; what to eat, the exact menu of allowed meal options, and the “rules” to eating during phase 2, the weight loss phase. In addition, we have a printable grocery list for you, and a detailed guide with FAQ’s about the expanded allowed foods for phase 2 and what to eat on phase 3. Can I use protein shakes on the HCG Diet? 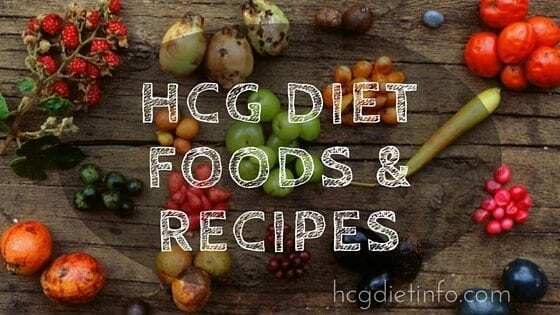 What to Eat on the HCG Diet Plan? Dining Out: Can I Eat Out on the HCG Diet? How to fix an HCG Diet Cheat? Feeling Hungry on the HCG Diet? 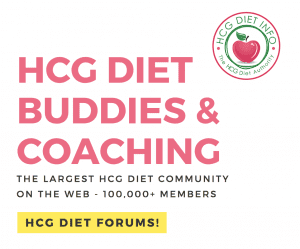 What is an HCG Diet Apple Day? What is an HCG Diet Steak Day? HCG Diet allowed foods include a surprisingly long list of healthy Hcg Diet foods and recipes. While the original Hcg Diet protocol does require a strict 500 calorie food menu, there are countless recipes that can be made from this list; Recipes that are delicious, and incredibly satisfying. When it comes to the Loading phase of the Hcg Diet, be sure to choose foods that are heavy on healthy fats and proteins, as well as those foods that indulge your treat-happy-self. This will help you to move on during Phase 2, when the VLCD (very low calorie diet) is in full play. A few handy tips for eating Hcg Diet foods on Phase 2, are… have a few go-to dishes on hand at all times. This should be something you really enjoy, and preferably something that you can keep in the fridge, full prepared and convenient to grab. This will help you avoid cheating. Also, right next to those foods, keep bottles of water ready to go. These will help keep you hydrated, which in turn keeps your metabolism running efficiently and your mind focused on eating healthy options instead of triggering food cravings. There are other protocols on the Hcg Diet that allow a more expanded list of food options and calories. In the Hcg Diet Forums, these protocols are lovingly referred to as “Rogue” protocols. These can vary depending on the doctor or specialist that provided them. While they may not have the same rapid results as the original protocol, it may be an option depending on your personal Hcg Diet food needs and preferences. The most important thing to remember when focusing on Hcg Diet foods, is to focus building lifelong healthy eating habits. These include portion control, slowing down while eating (always be the last to finish your meal at the table!) and really staying hydrated. 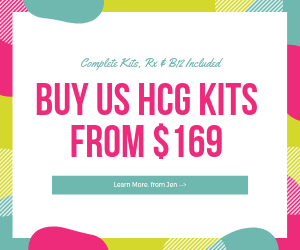 More importantly, the Hcg Diet Plan mainly consists of “whole” foods, and these are exactly what you will be wanting to stick to for lifelong health and wellness. What to do if you are feeling hungry? Hunger can be caused from a few things. 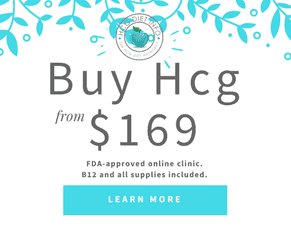 First, make sure you have purchased Hcg from a reliable source. This is important since low potency or fake Hcg can cause hunger. Second, be sure that your dose is correct. Most people experience hunger if their dosage is too high. The sweet spot for dosage is about 125iu to 175iu for prescription Hcg injections, while it is higher for those using Hcg diet drops. If you are still feeling hunger, then it can be time to look at a few other factors including food sensitivities. Read more here: Feeling Hungry on the Hcg Diet Plan. The Original HCG Diet initially called for a rigid food menu to be followed, with little to no flexibility. Today however, the diet has evolved and many offer a slightly more flexible approach, including the addition of modern foods that were not available when the diet was first created. In addition, many protocols allow for an expanded foods list. This has allowed countless cookbooks to be written that are perfectly acceptable for those following Simeons VLCD. The use of supplements and protein shakes for meal replacement are an option for some versions of the diet which can make Phase 2, the weight loss phase of the HCG Diet, much less challenging. See the original 500 Calorie Food Menu here. Trudeau’s hCG Diet is based on the Dr. Simeons protocol but modified according to modern health developments resulting in a slightly different, four phase diet plan. The first phase of this hCG Diet protocol is the preparatory period and includes instructions such as, increased daily water intake, walking for at least one hour a day, going through a body cleanse by using recommended hcg diet supplements and eating apples and breadfruit everyday. A more detailed outline of phase 1 of the hCG Diet can be found here. Phase 2 begins with 3 days of the dieter actually increasing their food intake and eating just about anything and everything they can possibly put in their stomachs, in an effort to increase energy throughout the next several weeks. After the initial 3 day gorge, the 500 calorie diet (also known as the VLCD – very low calorie diet) is put into place. Similar to Dr. Simeons hCG Diet Menu, Kevin Trudeau’s protocol does not differ much but does have some specific modifications and supplement additions. Kevin Trudeau’s hCG diet also includes additional food choices compared to Dr. Simeons original menu. Phase 2 of the hCG Diet lasts for 26 to 46 days, depending on the amount of weight the dieter has to lose. Phase 3 of KT’s hCG Diet requires three weeks. At this point, the dieter can adjust their menu to eat normal, healthy foods as long as they do not contain sugars, artificial sweeteners. Strictly prohibited on this diet menu are: no fast foods, no trans-fats, limited cold drinks. Phase 4 of the hCG Diet: this phase is what has grown to be known as the post hCG Diet maintenance phase. The dieter has successfully reached their hCG Diet goal and continues with a new lifestyle complete with healthy eating habits, a new relationship with food, and certain lifestyle changes including an exercise regimen. A number of hCG Diet Clinics and physicians specializing in the hCG Diet have come up with their own variations of the hCG Diet Plan foods. Many follow the 500 calorie a day diet. Others increase the calorie intake to 800 calories a day, or 1200. We have seen hCG Dieters succeed with all of these plans, at varying levels of average weight loss. Talk with your hCG Diet Doctor or medical specialist before starting your own hCG diet plan and ask questions regarding foods and menu options and which protocol they will be advising. If you have concerns, or wish to adjust the diet menu, ask their thoughts on this and proceed with their guidance. While the original protocol by Dr. Simeons does not require organic for foods or beauty products, it has become a popular addition to the diet thanks to Kevin Trudeau’s book, The Weight Loss Cure. Whenever possible, the organic approach is advised, for both its proven health benefits, and for optimum results when used in combination with the hCG diet shots. Health food stores are the sure bet for organic foods, while superstores like Wal-Mart, Target, and Kmart are continually expanding their organic foods sections. Larger varieties are available at all-natural grocery stores such as Whole Foods, Alfalfas, Vitamin Cottage, Trader Joe’s and local farmer’s markets. Another option are international markets. Asian food markets often have extensive organic sections, as do Latin markets. Jewish food specialty stores, restaurants and grocery sections are great to keep in mind, since many kosher foods are organic, including their meats. This is great news for those of you who enjoy Mediterranean salads from Jewish establishments! Read more on where to shop for hCG Diet foods and products. An alternative to organic food shopping is the fabulously convenient option of delivery. For those having a difficult time sticking with their 500 calorie VLCD diet and worried they will be tempted to throw a little something else in their food cart, consider grocery store delivery. Order online and have your carefully planned grocery list delivered to your home. Some Whole Foods will deliver but this varies by location. Eating organic is great, especially while on the HCG Diet. The less chemicals and more natural foods your body has to work with, the more efficient your weight loss. If you don’t have organic foods easily available to you, don’t forget kosher foods. If you do not have an organic health food store near you, your average grocery store will have a kosher section. Kosher foods are organic- no pesticides or hormones are used, and the process for their preparation is extremely strict, guaranteeing quality. Particularly in the beginning, some dieters may find it challenging to abide by the diet’s strict guidelines. hCG Diet Info has put together a few Diet Tips to help you stick to the plan and reach your goals! Any of the following: celery, leek, turnip, onion, parsley, dill, cilantro, salt and pepper to taste. Boil for about 20 minutes. The soup will become very orange with a strong aroma. This recipe is not “exact” simply because my mother-in-law is such an amazing cook, she just throws things in a pot and they come out perfect. Feel free to adjust the amounts to what you prefer, or what your diet calls for and experiment- if I can make it, anyone can, it’s that fool-proof! Also- for the picante sauce, she uses Salsa Huichol but she gets it from Mexico so I’m not sure if it’s easy to find. While chicken is permitted on the hCG diet food list, all recipes using chicken must be properly portioned to their phases. Phase 2, for example, allows 100 grams weighed raw. Phase 3, 1 full skinless chicken breast. When preparing chicken, take note that most recipes will call for oil to be used. When in phase 2 in particular, some dieters will continue to use a very small amount of oil if they are on the “New HCG Diet Plan” and continue to lose weight just fine. For those of you on stricter protocols, it may be wise to substitute this for coconut oil, or select recipes for grilled, broiled or baked chicken instead. Another option is to use a low sodium soy sauce to wet the pan for suitable dishes. Boneless, skinless chicken breast are a great food for phase 3. These are ideally proportioned to simply cook and eat. Be sure to trim the fat and no skin! Consider weighing individual chicken breasts and then freezing as a convenient way to cut down on cooking time. Avoid processed chicken patties from the frozen foods section of the grocery store. These are not fresh chicken and are loaded with calories, preservatives and added ingredients that could stall your weight loss.